12 gauge target shooters will appreciate the good patterning and low cost of these shotshells from Federal. Grab this bulk priced case of 250 today! 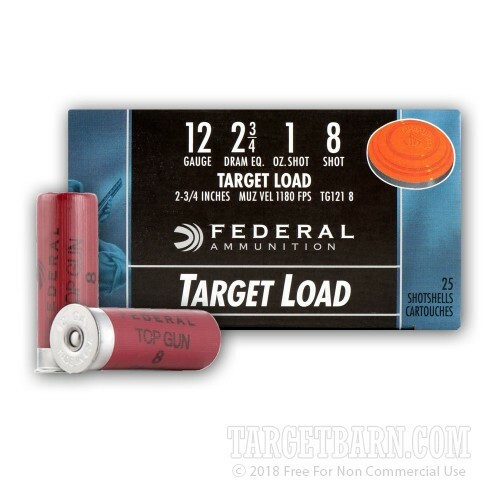 Each 2-3/4" shell in this case fires a one ounce column of #8 birdshot at 1,180 feet per second; this muzzle velocity produces respectable medium-range patterns without sending recoil to uncomfortable levels. 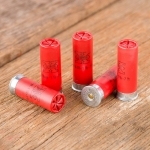 This ammo is loaded in Anoka, Minnesota using non-corrosive primers and high quality hulls.